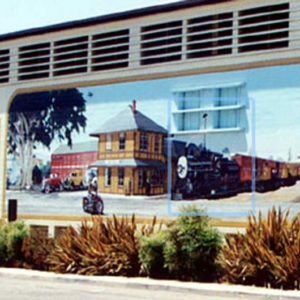 This mural centers around the historic Southern Pacific Depot, built in 1887, illustrating the many activities relating to the use of the railroad. 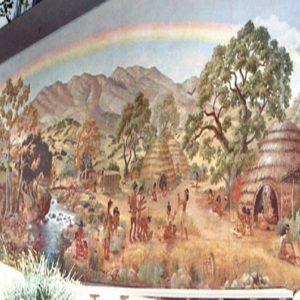 The artist who created this mural hiked to the historic site of the Chumash Indian village of Sisa to get a sense of the landscape. 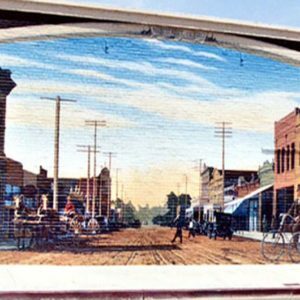 As if stepping back into a simpler time, this mural depicts Main Street as the vital center of the growing town circa 1910. 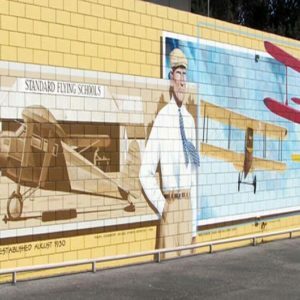 Ralph Dickenson's 1929 SM-2AC Stinson Detroiter, which he flew down the airport runway in August of 1930, officially opening the Santa Paula Airport. 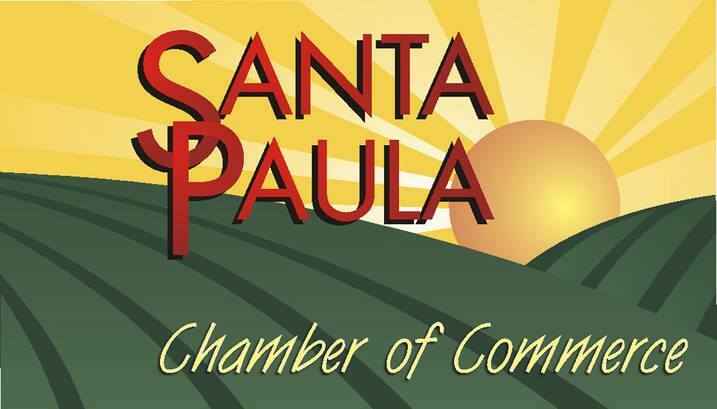 From the 1880s through the 1930s, small family farms were scattered all around the outskirts of Santa Paula. 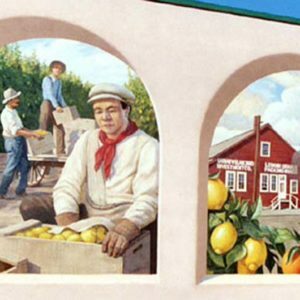 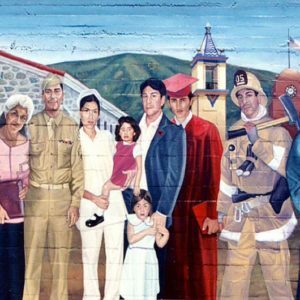 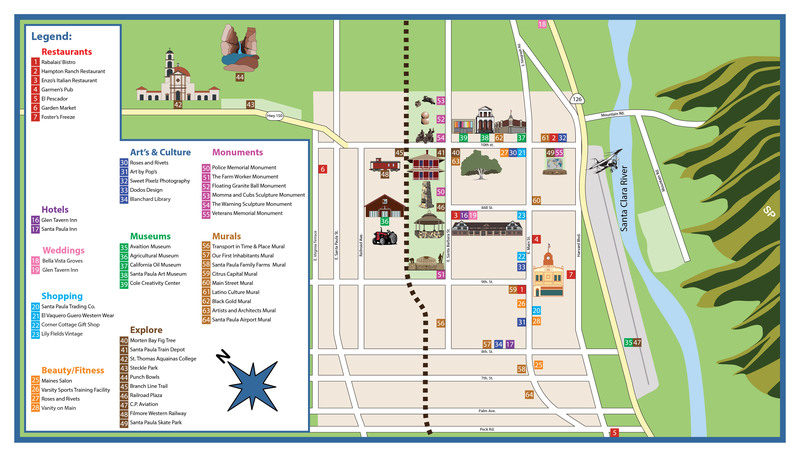 This mural celebrates Santa Paula's rich artistic heritage and some of its earliest artists and architects. 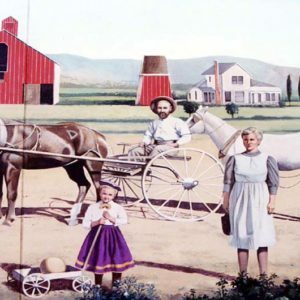 As a result of the Civil War, shipments of oil and kerosene from the east declined and interest rose in finding a source of oil in California. 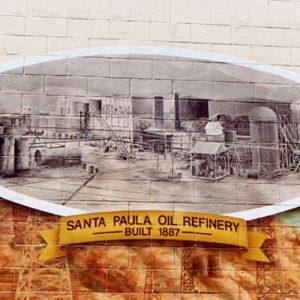 Latino culture is very significant in the story of Santa Paula. 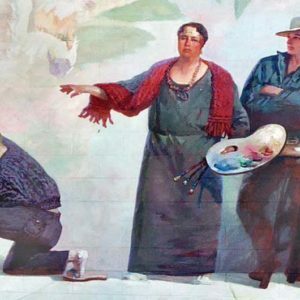 In this mural, Los Angeles muralist Eloy Torrez.